To our contemporaries, the car is not just a practical means of transportation invented to make life more convenient. It is the fruit of an industrial society and a product in which cutting-edge technology and human knowledge are intricately combined. Like living organisms, cars have life cycles in which they are created, used, and disposed of. The repetition of this cycle has given cars a special place alongside human life. They have come to be indicators of technological progress and social change in today’s complex society. First introduced in Korea in the 1900s, “automobiles” were symbols of power, wealth and luxury. Cars were mainly used by the wealthy and were products with which the privileged few who enjoyed the benefits of modernization could boast of their bountiful lives and status: “The car was a product that enabled them to embrace Western civilization freely and effectively, and its symbolic meaning was separated from its essentially functional meaning. Cars were symbols of modernization that people prized.” In the 1970s, highways were constructed and became the foundation of Korea’s industrial expansion. The speed of the buses and trucks that traversed these paved routes fulfilled the primitive desires of man and symbolized the country's growing economic power. The advent of the “my car era” in the late 1980s came with the stabilization of the mass production system, and this solidified the identity of the car as an everyday object. As a result, a motoring culture closely connected to human lives began to form, and since then, the functions and styles of cars have diversified in response to the desires of consumers of different classes and stages in life. Now, cars are sociocultural indicators that point to transformations and change in people’s interests and demands, as well as wider consumer trends. In the modern era, then, cars are no longer simply products with which to display wealth and prestige; nor are they merely a means of transportation. Cars provide private, personal spaces in which one can collect his or her thoughts, feelings and memories without being interrupted; they are also social spaces where one can have conversations with others or choose to step into a wider world. While cars have represented many different concepts in human lives including wealth, modernization, speed, freedom and the desire to consume, they have also been life time partners, changing our lifestyles and our attitude towards life. expanded meanings for cars in our society through art. 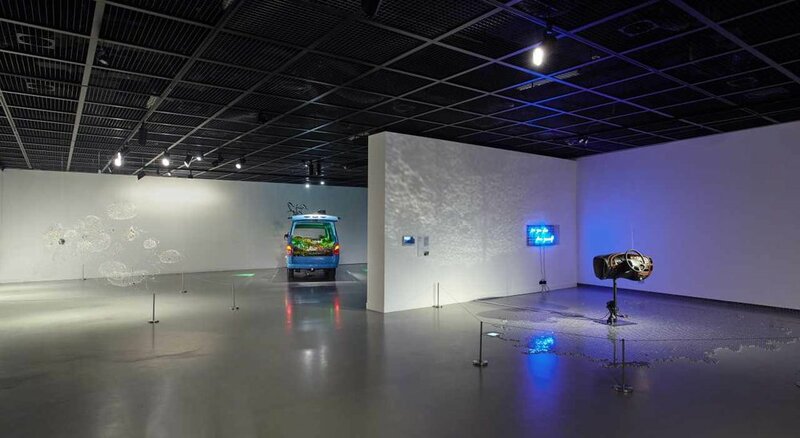 As suggested in the title of the exhibition, “with,” we hope to offer opportunities for the audience to affirm for themselves the special journey of companionship between cars and humans. We also want to encourage the audience to think outside the frame and understand cars as vehicles through which we interact with our own lives, society, history, reality and the wider world—rather than defining cars based only on their practical functions. 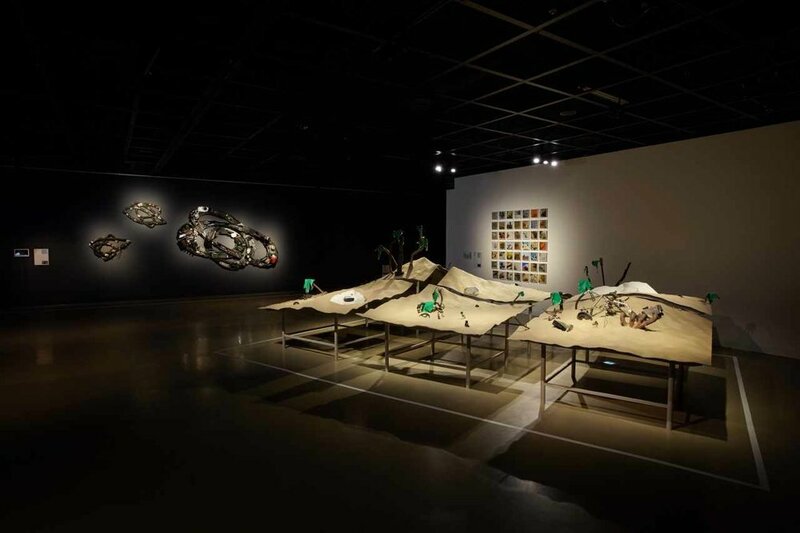 Twelve artists’ sculptures, installations, media works and architectural constructions included in the exhibition are the products of artistic experiments that adopt cars as subjects or as physical media. In this sense, cars are also man’s creative companions, providing fuel for artistic experiment. Works made based on the individual story of each car can be classified into different categories. The first category includes works that draw stories from cars that are nearing disposal at the culmination of their use. 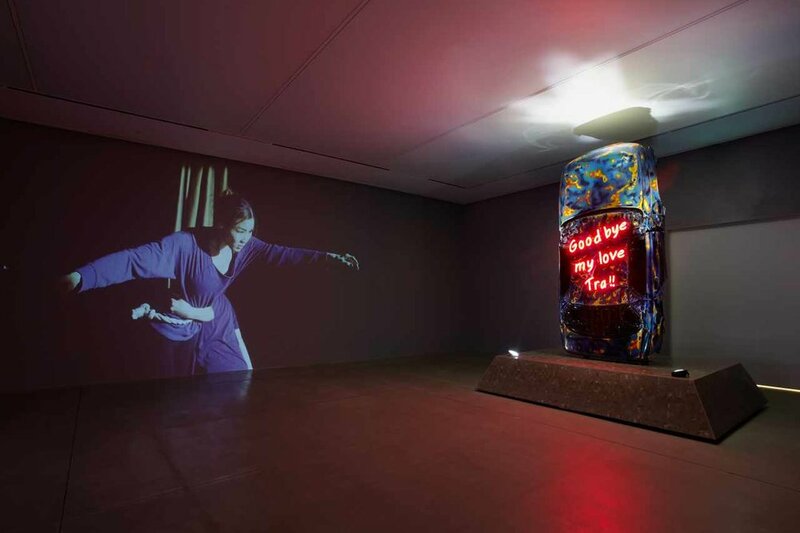 Each work shows the life of the car owner and invites the audience to look into the owner’s memories of the car. KiRa Kim x HyungKyu Kim have produced a video which looks at special moments in the car owner’s life from the perspective of the car, and which also records the last sights witnessed by the car. SangYeon Kim has created a Möbius Strip with car parts to represent a route that the driver took countless times. 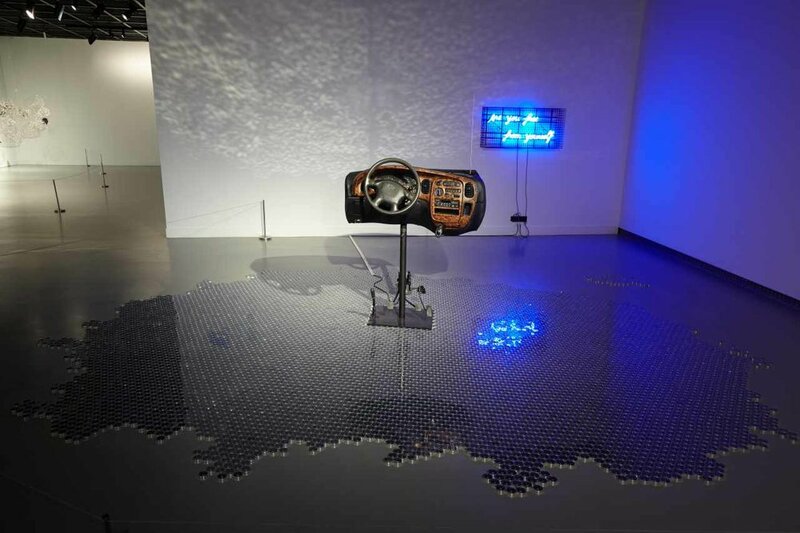 JinHui Kim has disassembled a car radio into its smallest electronic parts and then reassembled them to create a space in which family memories may be kept and remembered. 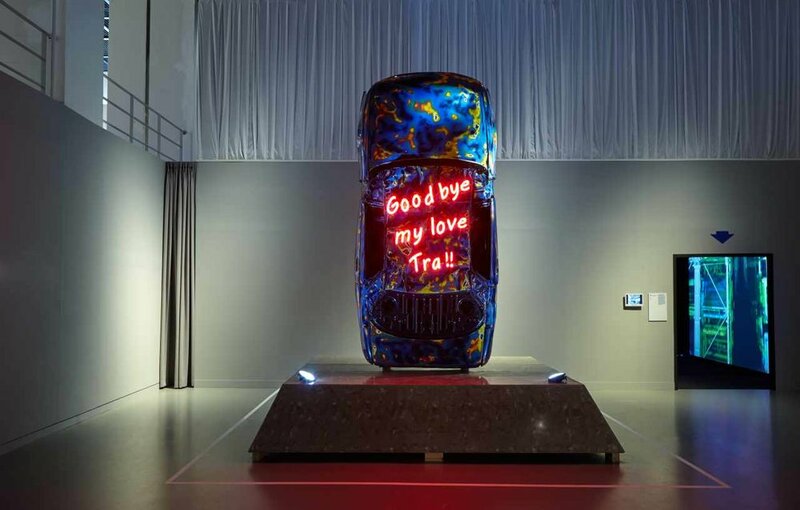 These works not only show that cars harbor particular stories and memories, but also remind us of a sense of humanity and personality formed through our interactions with cars. 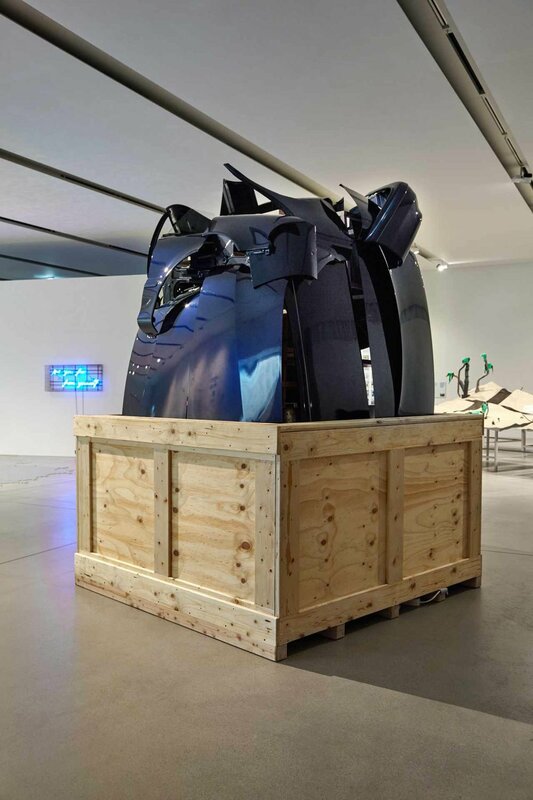 Another group of artists have used their own experiences with cars to open up our thoughts on various subjects such as individual human emotions, insights on life and cultural dissimilarities. Through cars, SeungYoung Kim examines his identity and the direction of his life, and JuYong Lee creates a private third space for encountering dreams and fantasies. DownLeit by JaeYoung Park draws inspiration from complex feelings about his mother, who passed her car down to him. His work encourages the audience to engage in a multisensory experience of exploring the various layers of emotion that compose human relationships. YeonDoo Jung’s work tells extraordinary stories about a North Korean defector’s life, including what it means to be a person who belongs neither in the North nor the South, and the cultural differences between North and South Korea as seen through cars. 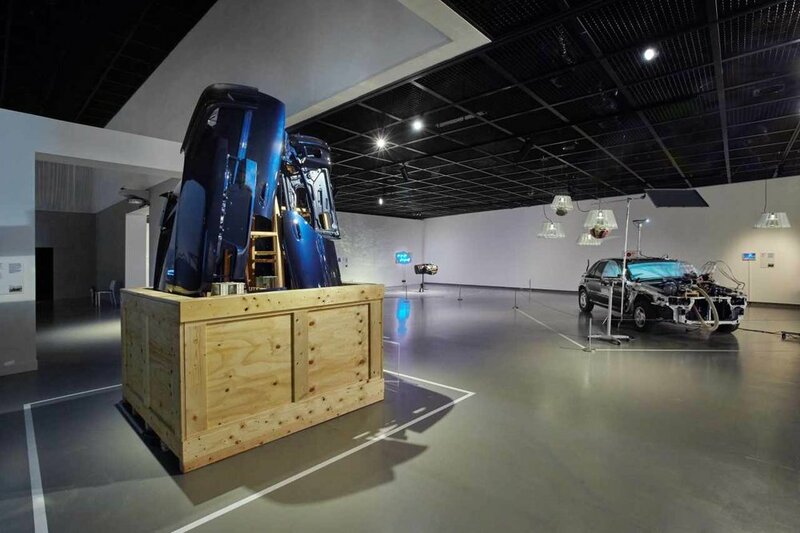 JoonHo Jeon has created a kinetic sculpture by disassembling a car that evokes an individual’s life. The sculpture, which continuously shifts up and down, demonstrates the directionality and continuity of our lives in which we always pursue perfection despite the imperfections we must face in reality. MunHee Park calls our attention to the cycle of life by comparing cars to plants that overcome adversity in harsh circumstances. 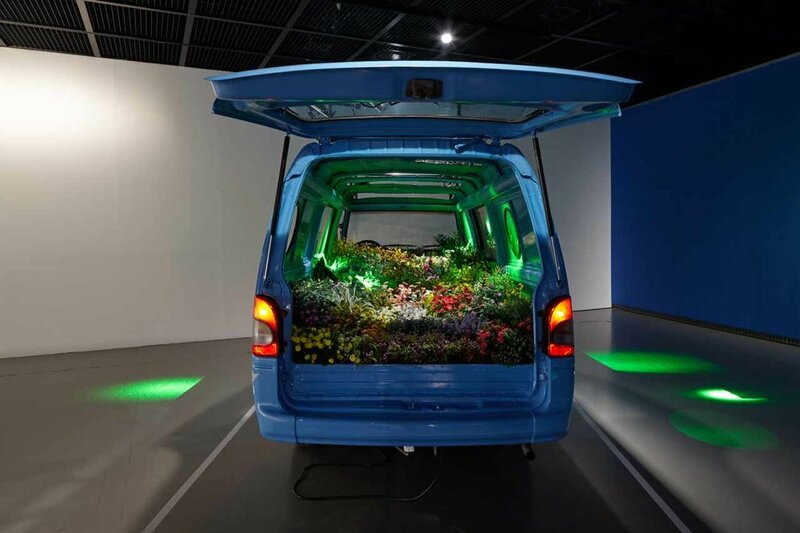 A further category includes artworks in which artists explore abstract concepts related to cars such as industrialization, mobility and journeying. 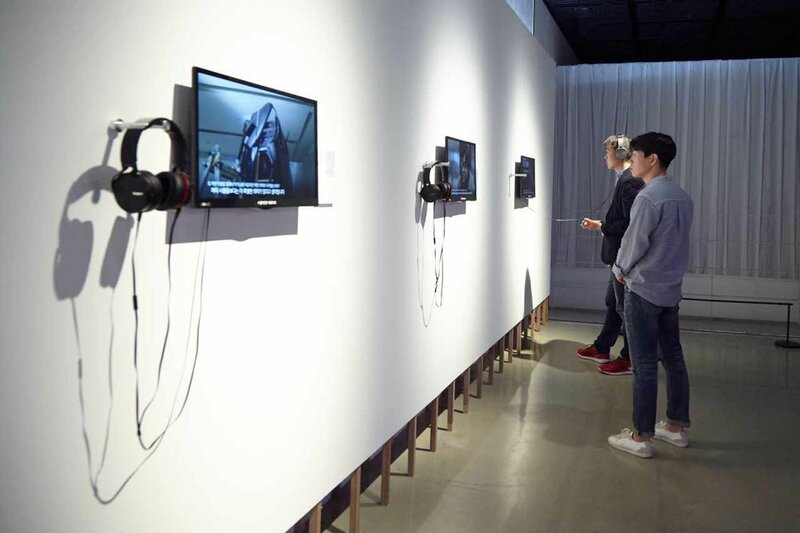 Through his video featuring the interior of a Hyundai Motor manufacturing plant, Kelvin KyungKun Park speaks of the symbolic significance of car production in Korea’s industrialization. His work also hints at a future that is quickly approaching—one in which machines will replace humans. 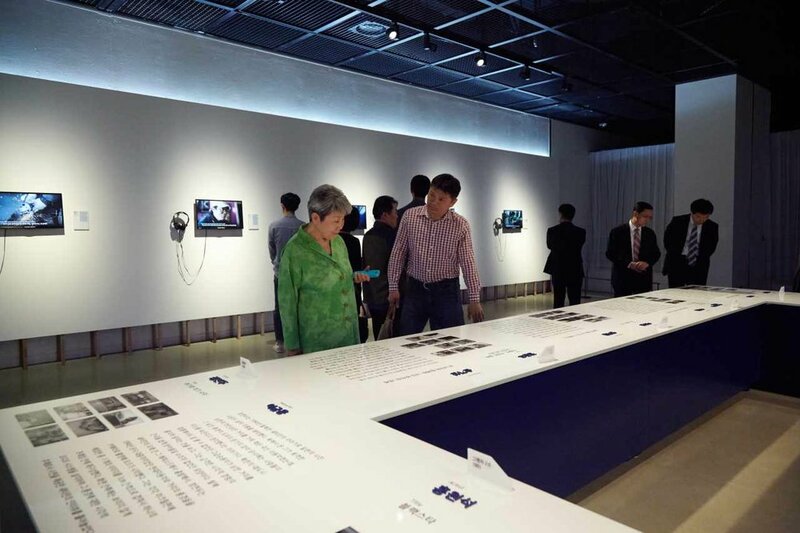 WonSeok Hong has organized and executed a program that calls for locals to explore the potential for community bonding by harnessing the mobility cars can afford. Architect WooSik Min installed a structure inspired by the cycloid curve, a curve formed by the locus of a point attached to a circle that rolls along a straight line. 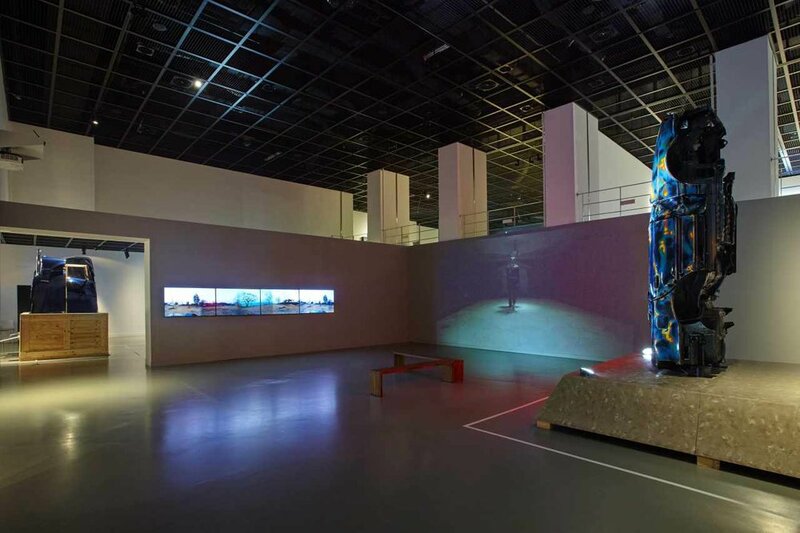 His installation is a visualization of a wheel’s path or the fundamental movement of a car that makes possible the companionship between cars and humans. These experiments by contemporary artists who explore various subjects and contexts allow us to better understand that a car is not just the sum of mechanical parts that make transportation easier, but that an automobile is also an object through which we can narrate the stories of our lives, reflect on society and interact with the world. We hope that <brilliant memories: with> will help you rediscover the meaning of cars as lifelong companions not only of artists, but of every person.